Do you or does someone you know have mesothelioma or any other asbestos-related illness? Bristol and Beyond Asbestos Family Support (BBAFS) was established in May 2011 and has members from Bristol, Bath, Portishead, Bridgwater, Minehead, Devon and as far across the bridge as Barry in South Wales. 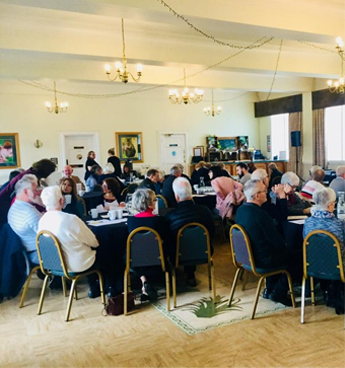 Bristol and Beyond offers friendship, support and information for all those affected by mesothelioma and other asbestos related diseases, including their carers, families and friends. For information about our upcoming events, please see our 'Events' page. If you have been affected by mesothelioma or any other asbestos related illness and would like more information, please contact Sarah Smith, Lung Cancer and Mesothelioma Nurse Specialist on 0117 414 1900 (Monday to Thursday 9am - 5pm).